Downwind sails, what do I need? Choosing the correct downwind sails can be a difficult decision. 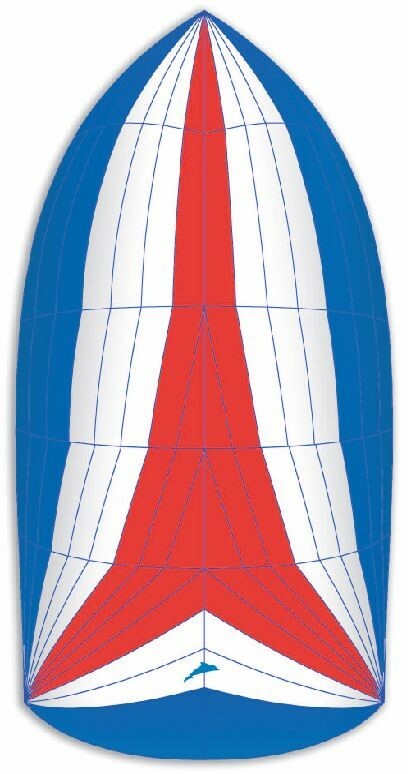 Dolphin Sails have the knowledge and expertise to help you pick the correct spinnakers and asymmetrics to suit your sailing needs. This specification sheet runs through the different downwind sail options that are available to you. 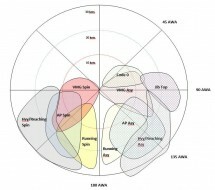 To help with your sail selection, here is a simple guide showing sailing angles and wind strengths. This will help us and you select the best sail for your intended purpose. 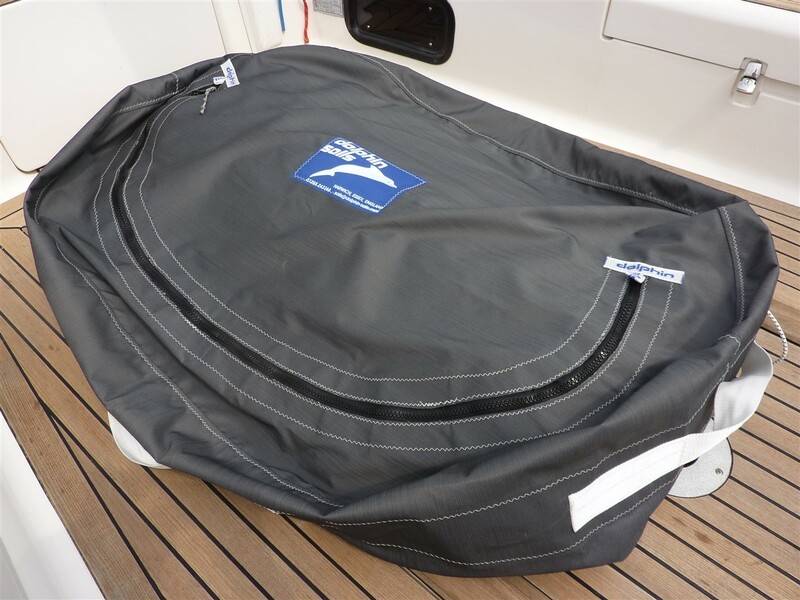 Designed as a general purpose sail the cruising chute has a mid-girth around 85-90% of the foot length and can be used at wind angles from 60º-130º. Normally set from the bow on its own tack line, the cruising chute does not require a pole for use. However, the effective range of the sail can be increased with the use of one. 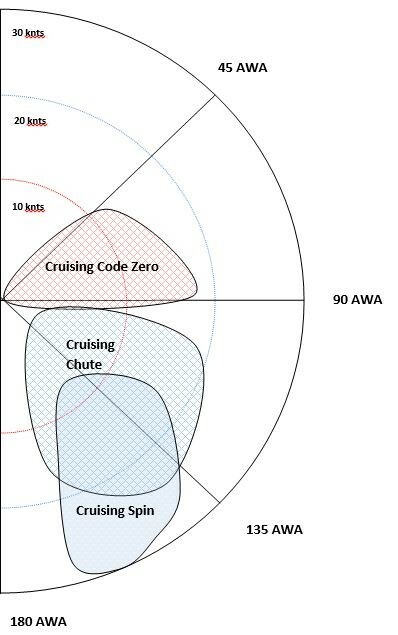 The Code 0 for cruising is based on the design of the racing Code 0. 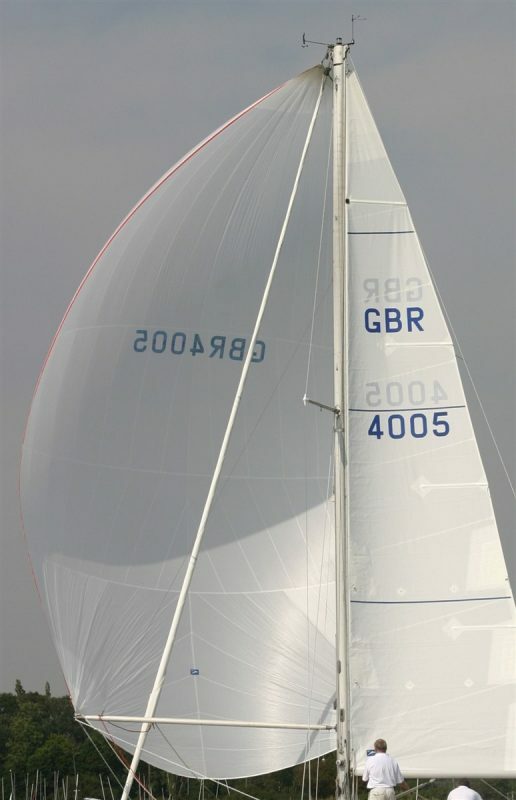 The racing Code 0 has a racing rule minimum mid-girth stipulation of 75% of the foot length to enable it to be rated as a spinnaker. Without this racing rule restriction the cruising Code 0 can have a mid-girth of 60% of the foot length. The cruising Code 0 is designed for use at wind angles from between 50º in light airs to 90º in stronger breezes. The cruising Code 0 is particularly useful for boats with non over-lapping headsails or small/high cut Yankees. The sail is built with a high modulus luff rope to cope with the high luff loads necessary to produce a straight as possible luff. The Code 0 can be set free flying but is more usually deployed with a Karver furler system. comprehensive sail inventory that covers all required downwind angles. These can be to a VMG, AP, running or heavy airs/reaching design. 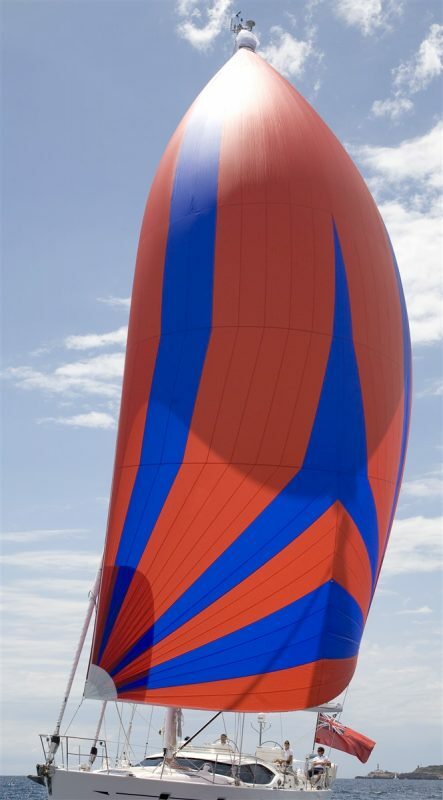 We will discuss the options and then select the design and cloth to produce the sail best suited to your requirements. The range of spinnaker nylons could be from a 0.5oz for a light airs sail upto a 2.2oz for a heavy airs Runner or Reacher. This is a custom design sail and more often you will find that this is an asymmetric rather than a symmetrical sail in most inventories. The VMG design is to be used when it is very light airs. They tend to be in a lighter weight fabric and slightly smaller in size to help with flying and is flatter in the head and shoulders to help you get the height and VMG angle. 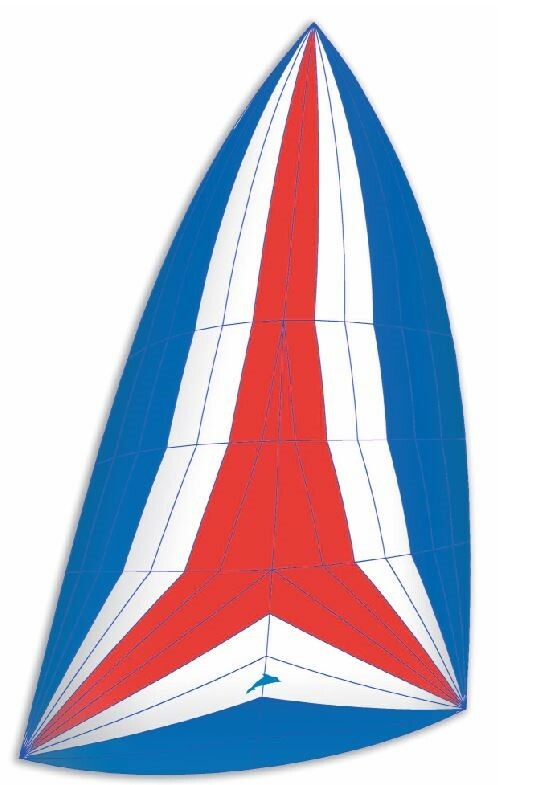 This is designed as an all-purpose sail with flat sections to promote close reaching and maximum shoulder projection at deeper sailing angles. This is a straight luff flatter sail for use in light airs. The straighter luff allows you to gain the height in the light airs when you are looking to increase boatspeed in order to sail higher VMG asymmetric angles. 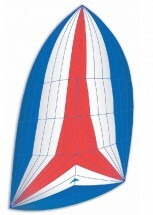 A medium shaped sail with reduced projection. These tend to be slightly smaller in area so you can sail at tighter angles. Due to the apparent wind that these sails generate the cloth weight is also heavier to allow for increases in wind strength. These sails can also double up as heavy airs runner. 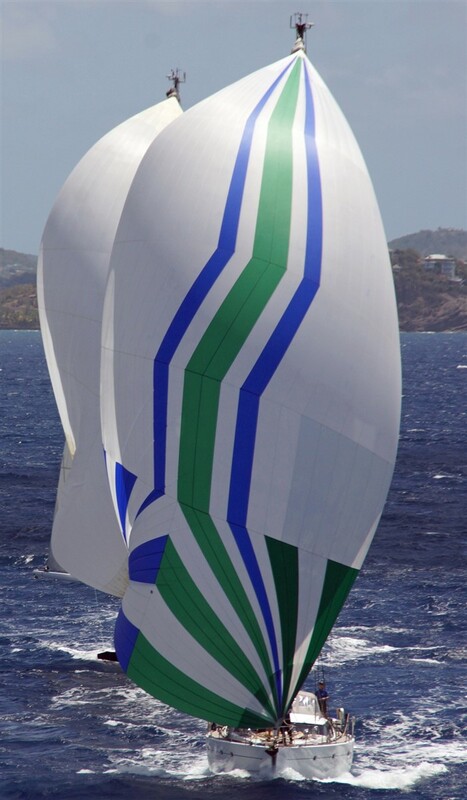 Asymmetric design has evolved over the past years and it is now possible to run nearly as deep with an asymmetric as it is with a conventional symmetrical spinnaker. However this does all depend on the pole length, projection of the sail and the boat type. This is acheived by making the luff length oversize and designing the sail with a lot of luff projection. In turn this allows you to ease the sheet and tack line to project the luff over to windward. To sail at these deeper angles the trimmer and helmsman must be constantly talking to keep enough pressure in the sail to maintain good boat speed. The Code 0 is a specialist, very close reaching sail. 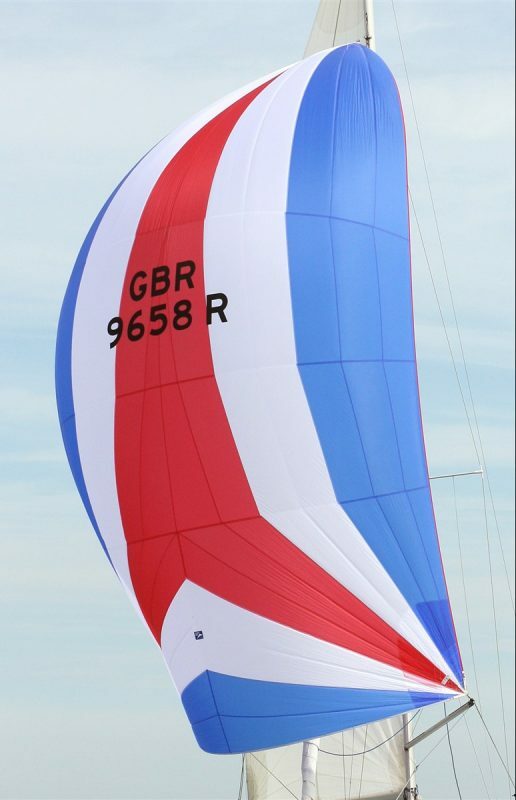 It has a racing rule minimum mid-girth stipulation of 75% of foot length to enable it to be rated as a spinnaker. It is designed for use at wind angles of 45º in light airs to 100º in 12knts of breeze. It can be built from a variety of fabrics from 10.5oz or 2.2oz nylon through to lightweight Kevlar laminate with taffeta. The lightweight Kevlar taffetas offer good all round performance at a reasonable price whilst the nylons offer good performance at low cost. The Code 0 is particularly useful for boats with non over-lapping headsails. The sail is built with a high modulus luff rope to cope with the high luff loads necessary to produce as straight as possible luff. Dolphin Tri Radial Spinnakers/Asymmetrics and Code 0’s feature panels rocked in vertical orientation to allow the stronger warp fibres to align with the high load path in the sail. This provides the ultimate in shape holding, minimizing distortion and maximizing performance. The lower luffs can have heavier fabrics to enhance the range of use and allow slightly close reaching angles. Dolphin utilise the best fabrics in the world for durability and longevity. Dolphin Sails can offer a full sail branding package, whether it be your boat logo or company branding. The artwork can either be painted, cut into the sail or printed depending on the sail usage and how intricate the sail logo that’s needed. Some examples are shown here. To help with sail handling and ease of use Dolphin recommend the range of Karver furling systems, especially for short handed sailing. These can be supplied to Code Zeros which have an integral anti-twist luff rope or for a top down furling system. The top down furling system allows you to fit a standard cruising chute or asymmetric onto a furler with a separate custom stay. These work by building up torsion and twists in the stay. These work by builidng up torsion and twists in the stay. When there is enough turns in the stay it starts to furl the sail around itself from the head downwards until the complete sail is furled up. If you are after a more conventional method of dousing your spinnaker or asymmetric than we also offer the ATN or Oxley Carbon and inflatable snuffers.